You just put in a hard hour at the gym. You’re sweaty and a little gross, but more than that, you’re proud of the effort you put in. Now it’s time to call it a day and relax. After all, you’ve earned it! Well, not so fast. If you’re going directly from the gym to the couch, you could be making some serious errors that negate the gains of your workout or even increase your chances of sustaining an injury. Your post-workout routine is just as important as how you prepare before a workout. Here are seven of the worst things to do post workout. After an hour or more of hard training, the last thing you’ll likely want to do is spend any more time in the gym. But there’s a reason why experts tell you to cool down before going on with your day. After your workout, your body is under a great deal of stress. Going from 100 to zero in a matter of minutes won’t do your body any favors, despite what you may think. Take a few minutes to slow your run into a walk or allow yourself a quick breather after lifting to give your body time to adjust. Your body undergoes a ton of changes during a workout and needs time to readjust. Failing to give yourself a proper cooldown could send your body into shock, or at the very least, result in some sore muscles due to lactic acid buildup. Admittedly, there’s a great deal of debate surrounding our next topic. Health experts are at odds over whether or not stretching post-workout, has any major effect on your performance at all. While studies are ongoing, experts agree that if you’re serious about your athleticism or hope to go professional someday, stretching can help you retain muscle elasticity. Indeed, if you’re looking to run faster or harder, opting into a post-workout stretch can reduce soreness and improve flexibility to make your next workout even better. Though sports drinks are often marketed toward those who live an active lifestyle, it’s important to note that it’s just that — marketing. Gatorade and Powerade are two of the worst offenders. You’ve probably seen the ads or heard the stories about the drink’s invention. While it did start out as an easy way to replenish lost electrolytes in athletes, today’s sports drinks feature far more sugar than the original recipe, causing dehydrating and decreasing performance. A 32 oz Gatorade contains 54.4 grams of sugar — more than the FDA’s recommended amount. For reference, that’s more than half the amount of sugar you’ll find in a 32 oz Mountain Dew. There is some good to sports drinks, however. Though they’re chock full of sugars, most sports beverages contain nitrates, carbohydrates, and electrolytes that replace what we sweat out during a workout. But, unfortunately, the bad outweighs the good in this case. You’re better off sticking with good old H20 or a post-workout supplement for rehydration and a quick pick-me-up. When you return home from your workout, the first thing you probably want to do is plop on the couch and take a nap. But for the sake of yourself and those around you, it’s best to take a shower beforehand. Staying dirty gym clothes not only makes you a social pariah, but it can also permeate your furniture and do some serious damage. The oils from your skin can easily soak into the fabrics of your couch or bed, leaving a putrid stench or even staining your furniture. So please, for the good of yourself, your friends and family, and even your furniture, hit the shower before taking some much-deserved R&R. A good, healthy snack is a fantastic treat after a workout. What’s more, snacking post-workout is also a fantastic way to replenish lost calories as well as proteins and carbs. But you are what you eat, so think carefully before you ruin your progress with that slice of pizza. Instead of negating your progress with a post-workout snack, opt for a healthier, nutritious alternative soon after your workout. Post-workout supplements are a great way to give your body an extra boost, as are protein-based snacks. Peanut butter, chocolate milk, oatmeal, and chicken or fish are some of the best choices. Though they’re delicious, avoid sugary or processed snacks like chips or soda. They’re empty calories and won’t do your body any good. Okay, so this mistake won’t ruin any of your progress, but it will get you a lot of angry side-eye at the gym. Most gyms have at least one person that does this, and if you’ve ever experienced it, you know how annoying it can be. We’re not talking about taking a quick breather once you’ve done a few reps. That’s normal and even expected. We’re talking about spending using a piece of equipment like your own personal chair and holding up others’ workouts. Once you’re finished with a piece of equipment, clean it, set it back to default, and move on. We promise your fellow gym-goers will appreciate it. So you’ve done everything right so far and now you get to be a couch potato for the rest of the day. You may even treat yourself to a post-workout pizza! A lot of people falsely believe that because they went to the gym that day, they have free reign to be inactive or eat poorly. Again, you’re only sabotaging your own efforts here. Hitting the gym on a regular basis is a great way to move toward a healthier lifestyle. But that healthy lifestyle needs to include more than a trip to the gym a few times a week. If you’re guilty of these post-workout mistakes, you’re not alone. Most people commit one or more of these gym-based sins. We’re not here to chastise or embarrass anyone, but to help you get the most out of your workouts. So take what you’ve learned today and use it better your post-workout rituals. And be sure to check out our reviews guide to help you choose the best gear and supplements. Whether you’re looking for better gains or want to lose a few pounds, we have the advice that can help. LEAN MUSCLE GROWTH. Growth Surge is the ultimate muscle building supplement, containing three key ingredients to support lean muscle growth and fat loss throughout the day. Consume GROWTH SURGE promptly post-workout to jumpstart muscle recovery and optimize the anabolic window. POST WORKOUT RECOVERY. You train hard day in and day out, it's crucial to recover and rebuild at maximum levels. GROWTH SURGE helps improve post-workout muscle recovery, muscle building, and reduce muscle soreness. 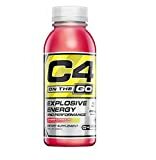 Conquer your next workout feeling refreshed and ready to go with endless endurance and increased strength. 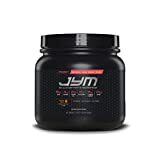 PREMIUM CREATINE, SCIENTIFICALLY-DOSED FORMULA. 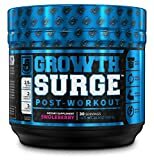 Each ingredient in GROWTH SURGE is supported by science and added to provide users with the best workout recovery, lean muscle mass growth, and overall performance. GROWTH SURGE utilizes only premium-grade ingredients in science-backed doses. GROWTH SURGE contains the best form of creatine on the market - Creatine Monohydrate, as well as L Carnitine L Tartrate, Betaine, & Bioperine. MANUFACTURED IN THE USA IN A STATE-OF-THE-ART CGMP CERTIFIED FACILITY. All of Jacked Factory's products are manufactured in a state-of-the-art facility that is cGMP certified. This guarantees that users are getting nothing but the purest, safest and highest quality supplements on the market. We take our customers' health and results seriously. We will never sacrifice quality. 100% MONEY-BACK GUARANTEE. We stand behind GROWTH SURGE Post Workout Drink for Men & Women, and guarantee your satisfaction. If for any reason you don't find that GROWTH SURGE Post-Workout Powder takes your recovery, muscle building, and fat burning efforts to the next level than we back it up with a no-questions-asked guarantee: we will work to resolve your concern or arrange for a hassle-free refund. 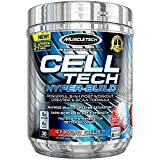 IMPROVED MUSCULAR ATP REGENERATION - Scientifically studied 5g dose of creatine, which enhances your body's ability to regenerate ATP, so that your muscles keep firing on all cylinders. REDUCE MUSCLE SORENESS - Improve recovery through the reduction of muscle soreness after exercise. BOOST ENDURANCE PERFORMANCE WITH FIRST DOSE - Clinically shown to improve performance in endurance athletes. 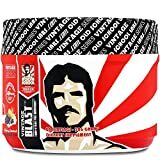 BUILD MUSCLE & MUSCLE ENDURANCE - Betaine is one of the hottest new musclebuilding ingredients, thanks to its ability to increase lean muscle, size, strength and power! IMPROVE PERFORMANCE - The 2g dose of taurine is clinically shown to improve performance in endurance athletes. 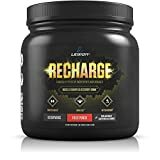 REPLENISH ELECTROLYTES - For a truly complete formula, precise doses of electrolytes were added to help replenish electrolyte stores that are depleted during your workout! 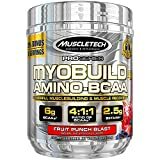 BUILD LEAN MUSCLE & STRENGTH, BOOST MUSCLE RECOVERY. Enhance post workout muscle growth & recovery. Come back bigger and stronger to conquer your next workout. CLINICALLY-DOSED POST-WORKOUT. Each ingredient in Powerbuild is dosed in line with proven research studies. Only the best muscle building and performance boosting ingredients on the planet. NO ARTIFICIAL FOOD DYES OR SWEETENERS, KETO FRIENDLY. Powerbuild is 100% naturally sweetened & flavored, and can be used by men and women. MANUFACTURED IN THE USA IN a cGMP CERTIFIED FACILITY. Jacked Factory products are manufactured in a cGMP facility.